LOS ANGELES, CA--(Marketwired - April 24, 2017) - Medicare beneficiaries may be able to save money or obtain better Medicare Supplement insurance coverage by taking advantage of little known regulations and benefit provisions. "There will soon be 70 million Americans on Medicare as 10,000 people turn 65 every day," explains Jesse Slome, director of the American Association for Medicare Supplement Insurance (AAMSI), a national consumer advocacy organization. "Over 13 million people currently have a Medicare Supplement (also referred to as Medigap) policy and while these are standardized plans, there are some tips, techniques and certain state-specific rules that can benefit consumers." 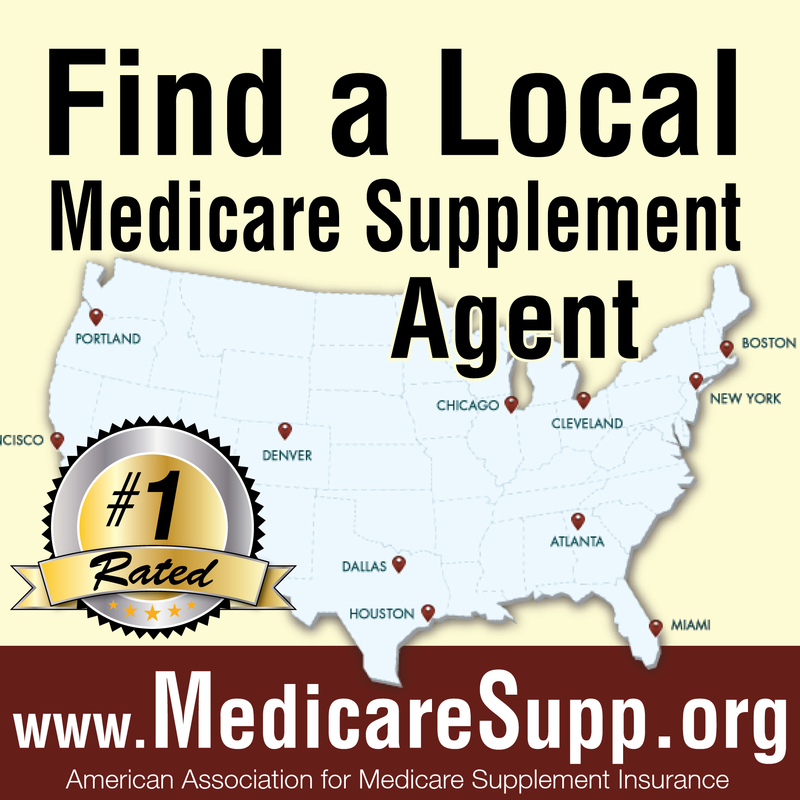 The Association director highlighted five tips and tactics shared by leading Medigap agents listed on the organization's Find A Local Medicare Supplement Agent directory. Consumers can access the free online service to find Medigap agents in their area who can explain rules and compare options available. California's Medicare Supplement insurance law, also known as the "Birthday Rule" allows individuals with Medigap insurance to switch to a different insurance plan or provider during the 30 days following their birthday. "Individuals who take advantage cannot be turned down because of a pre-existing condition," explains Mickey Batsell of Leander, Texas. Oregon has also approved the Birthday Rule. "Missouri offers the 'Anniversary Rule' that provides Medigap enrollees a 60-day window around their plan anniversary during which they can switch to the same plan with any other insurance carrier, guaranteed issue," shares Marc Mantia of Ellisville, MO. "Know the plan anniversary because that's the time to shop around to see if the same plan is available for less cost." Anyone who has enrolled into a Medicare Advantage plan for the first time can cancel their Advantage Plan and enroll into a Medicare Supplement plan under what's commonly referred to as the "Trial Right". "This is a huge benefit many people don't know about," notes Steve Thurmond of Nashville, TN. "Having this 12-month trial period allows the consumer to try the benefits of a Medicare Advantage plan which typically costs less," he adds. "The rule enables someone to return to Original Medicare Part A and B combined with a Medicare Supplement plan." Most retirees stay put. But many seniors do move and if the Medicare Advantage plan cancels coverage because of a move out of their service area, purchasing a Medicare Supplement plan with no medical questions may be possible. "Many seniors move to states like Arizona or Florida and the 'Move Equals Choice' option is something to keep in mind," explains Andy Lockridge, of Mesa, AZ. "There generally is a two month window to make a change after cancellation." At age 65, most Americans lose eligibility to contribute to a Health Savings Account (HSA) because they begin Medicare. "Don't forget to take tax-free advantage of any remaining monies in that HSA plan," advises Melissa Barnickel, CPA, from Monkton, MD. "Using those pre-tax HSA dollars to pay for Medicare parts A, B, D and Medicare HMO premiums is a smart move." "Medicare Supplement plans are standardized but rules may vary from state to state and each insurance company gets to set prices," explains AAMSI's Slome. "Comparison shopping is more essential than ever and a good first step is to work with someone who specializes in Medicare options." The Association's study of 2017 rates for Plan F found spreads of as much as 174 percent between the lowest-cost plan and the highest. 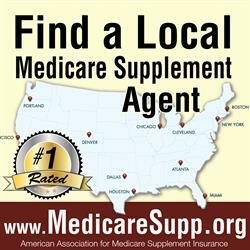 To help consumers seeking information and Medicare Supplement cost comparisons, the American Association for Medicare Supplement maintains the nation's largest online directory of local independent Medicare Supplement agents. Access to the Zip-Code directory is free and no information is required to view the listing. To learn more about Medicare Supplement insurance visit the Association's website at medicaresupp.org or call the organization at 818-597-3205. Jesse Slome, AAMSI's director, is a leading national advocate for consumer awareness and financial and insurance product education.